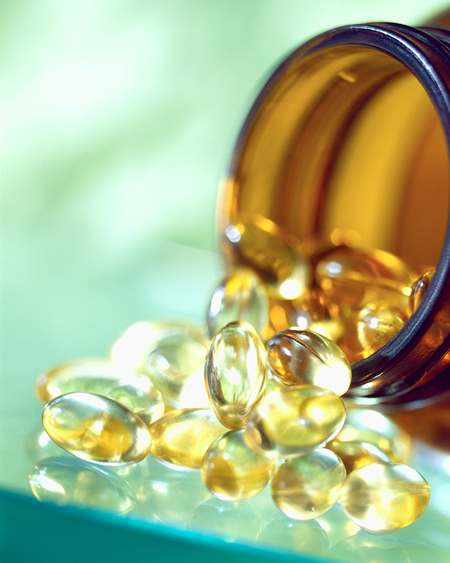 Over the past four decades, there have been thousands of studies examining the health benefits of Omega-3 fatty acids – building blocks our bodies use to create cell membranes and maintain the connections between brain cells. Dozens have studies have identified these types of correlations. But earlier this year, a meta-analysis published in the Journal of the American Medical Association, which included 20 clinical trials involving nearly 70,000 people, concluded omega-3 fatty acids did not prevent heart attacks, strokes or deaths from heart disease. But other systematic reviews – like this one by the Cochrane Collaboration – found it unclear whether omega-3 supplements reduce the risk of cardiac deaths. So, what’s the bottom line? This is one case where the evidence is truly unclear. One challenge is that longitudinal diet studies are difficult to perform because there are so many variables in what people eat over long periods of time. The it can be tough to differentiate between omega-3s consumed as part of a diet versus those taken in a supplement. It is clear that foods like salmon, tuna and green vegetables are good for us – and including them in our diets is a step in the right direction. But we need more evidence to determine their exact effects, and to establish whether it’s worthwhile to take omega-3 supplements. Although the omega 3 did not prevent heart attacks, strokes or deaths from heart disease based on the study, it is still important to our daily consumption. I have been wanting to try fish oil and flax seed before but I did not know what brand to choose or where will get it. I knew that too much omega 3 is not good since it could lead to internal bleeding so moderation of omega 3 consumption, healthy diet and exercise are also needed to maximize the benefits. Effects of omega 3 fatty acids on human body are always a debatable topic. We find many studies which supports the fact that omega 3 fatty acids is crucial to heart health like the American Heart Association and many studies which doesn’t support the fact that it does prevent heart disease like the American Medical Association and few studies which says it’s unclear like Cochrane Collaboration. But at the same time we can find so many satisfied customers of omega 3 supplements which say that after taking the supplement they felt the difference in their body such as improved health, concentration and vigor. So I am with those satisfied customers. The blog is based on one key principle: Now more than ever, people need help separating the good scientific information from the bad. We are all about assessing the scientific evidence on human problems and looking at how to use it every day. You can click on the topics above to see blog posts on specific subjects.